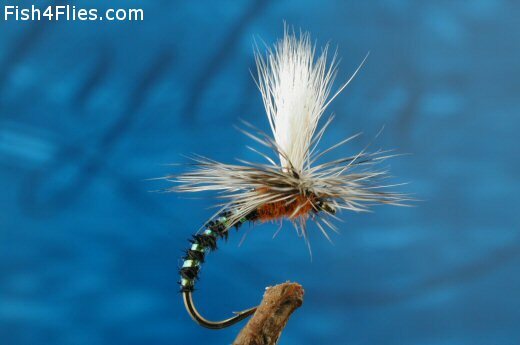 The Para Emerger Black sits with its hackle on the surface film and the body hanging teasingly down. Body : Black seal's fur or substitute. Thorax : Orange seals fur or substitute. Wing post : White calf tail or hair. The parachute tying style was developed by Doug Swisher and Carl Richards. Currently there are no comments about the Para Emerger Black fly pattern from other fly fishermen yet.